There once was an African tortoise named Wamba who lived peacefully in a comfortable enclosure outside the Ritz-Carlton, Dove Mountain north of Tucson. On cold nights she would totter into her small, heated enclosure and wait for the next day's warming sun. One Presidents Day weekend night, Wamba felt something nestle beside her. She had no idea what this creature could be, only that it was soft and warm and furry. Wamba remained still, something tortoises do very well, and waited for the next day's warming sun. When it was bright again, Wamba's roof was lifted to reveal her caretaker, Ranger Ron Brink, who tended to all the desert animals living at the Ritz-Carlton. Each day Brink and his crew cleaned the shelter and made sure there was plenty of food and water. The rangers were as surprised as Wamba to find the soft and warm and furry trespasser. 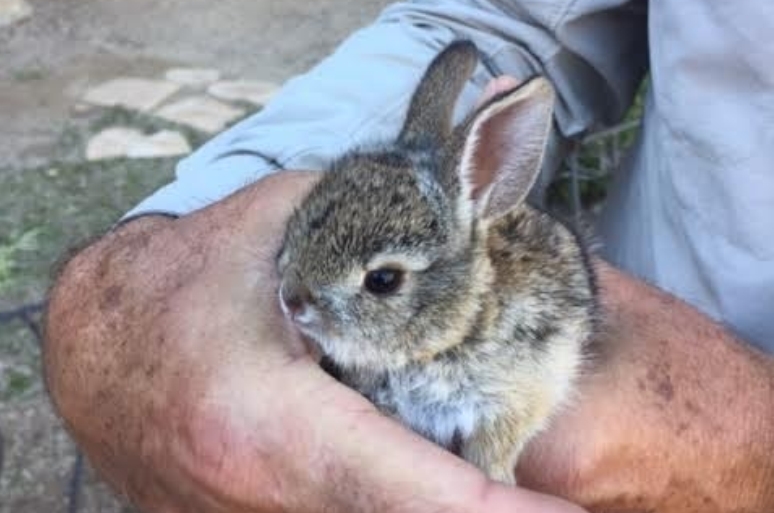 It was a bunny, no more than two weeks old. When Brink saw a ring of grass and leaves was wrapped tightly around the tiny animal's neck, he knew he had to help. 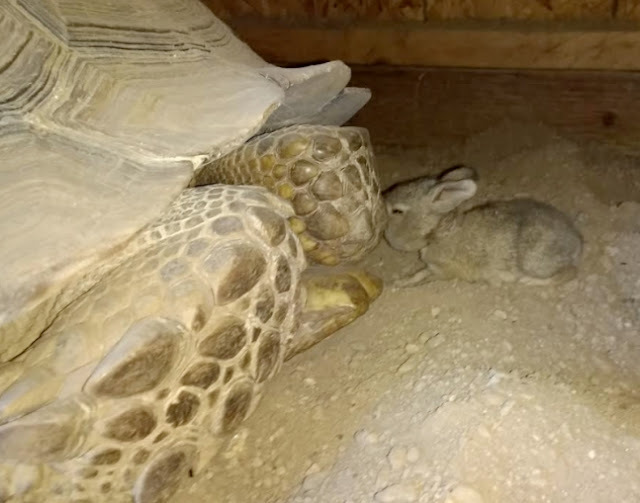 Wamba grunted, as tortoises do when possibly upset, when Brink and a helper went about removing the many layers of plant matter tangled around the soft and warm and furry visitor. As days passed, Wamba saw the tiny creature a few more times, having no idea how well it was being nurtured by Brink. 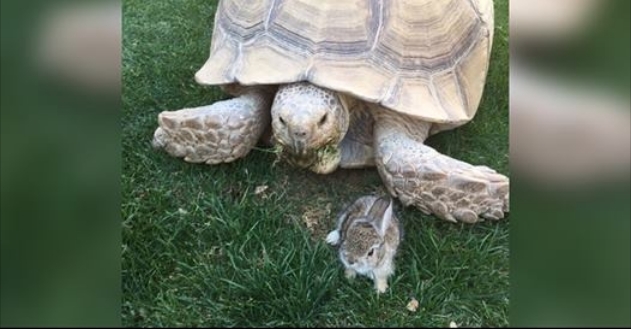 Nor did the tortoise know the rabbit would soon be joining a collection of desert animals who were not so soft and warm and furry. 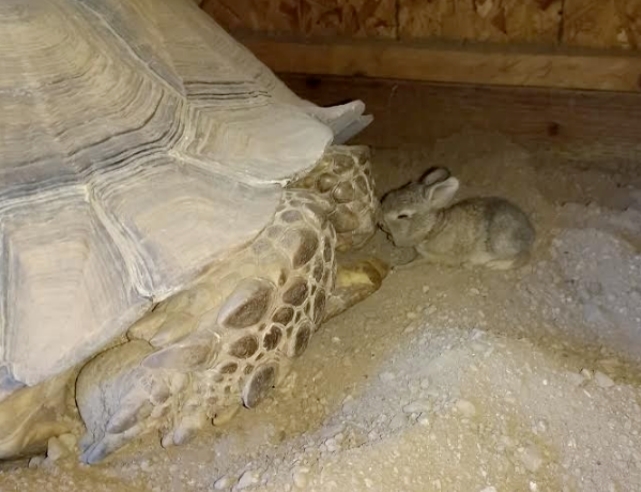 But thanks to Brink, Wamba the tortoise will continue to spend time with the hare as days pass, taking their relationship the only way tortoises know how. 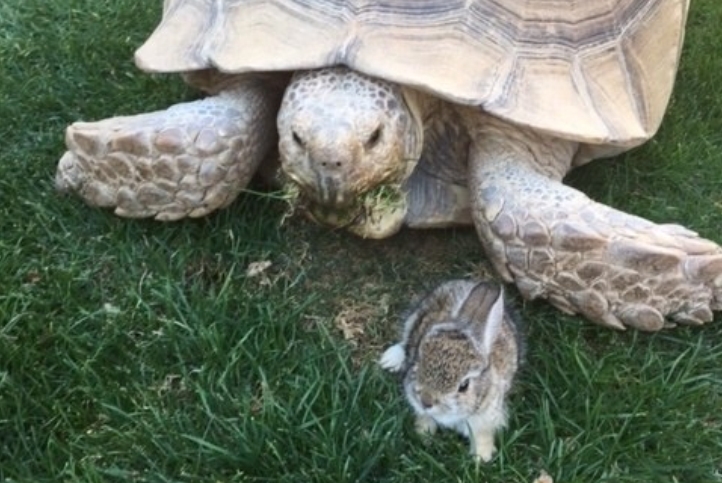 Responses to "Tortoise and hare become fast friends in adorable real-life Tucson fable"